If a judgment in a civil suit was entered against you in a Texas court, and you feel that the verdict was unfair, you can appeal the decision through your attorney or legal representative. Write down the date the judge entered the decision. You usually have 30 days from the date of the judge's verdict to file an appeal. Pay all necessary fees within 10 days. File a petition in writing and explain why you think the verdict was unfair. According to the 14th Texas Court of Appeals, "any party who seeks to alter the trial court's judgment or appealable order must file a notice of appeal...the notice of appeal in civil cases must identify the trial court and state the number and style of the case, the date of the judgment or order from which the appeal is taken, the name of each party filing the notice, the court to which the appeal is taken, and that the appellant desires to appeal." File the appeal through your attorney or legal representative. Prepare a Docketing Statement. Under the Texas rules of appellate procedure, "the appellant must file a docketing statement in the court of appeals...the docketing statement must identify the trial court, parties, and counsel. It must contain...the date the trial court's judgment was signed, the dates the notice of appeal [and] a general description of the nature of the case." Serve the citation. A sheriff can deliver the citation personally, or you can send it via certified mail. AnitaBiase. "How to File an Appeal in Civil Court in Texas." 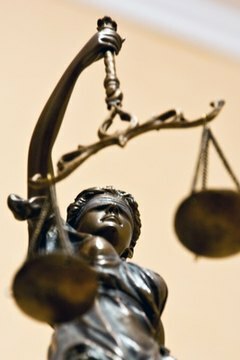 , https://legalbeagle.com/6197029-file-appeal-civil-court-texas.html. Accessed 19 April 2019.